Earlier this fall around the beginning of September I started noticing my oven-cooked food being a little more difficult to cook. Things werent turning out right (soggy on bottom and burnt on top), it was taking forever to reach any kind of temperature (2 hours to hit 400), and I couldnt handle it anymore. Quite frankly, it was depressing to cook and bake any longer. I didnt know if my food was going to turn out right or not. Then I had to learn how to make use of the top heating coil instead of the bottom one (which was no longer working) without scorching things. It took about 2.5 hours last weekend to make a tray of brownies. 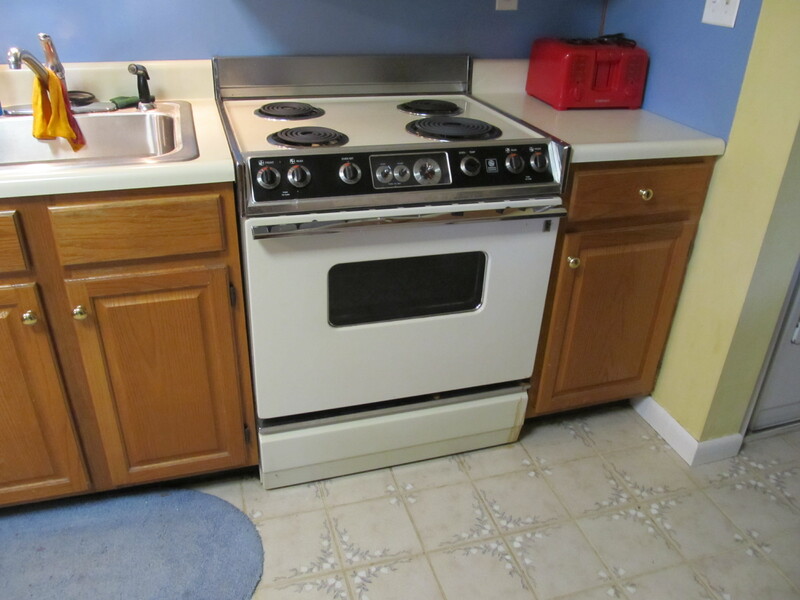 This was the same oven that had been in the house practically since it was built in 1977! So it was definitely time for a new one. My parents being wonderfully awesome, foresaw the holidays coming and knew I would want to bake for everyone……so they offered to get me a new oven for my christmas present this year. How fabulous!!!!!!! Isnt it glorious???? My new oven was delivered this morning. I cant stand how awesome it is. I love it already. I cant wait to cook all of my blog recipes on my new stove 🙂 🙂 Thanks mom and dad!!!!!!! 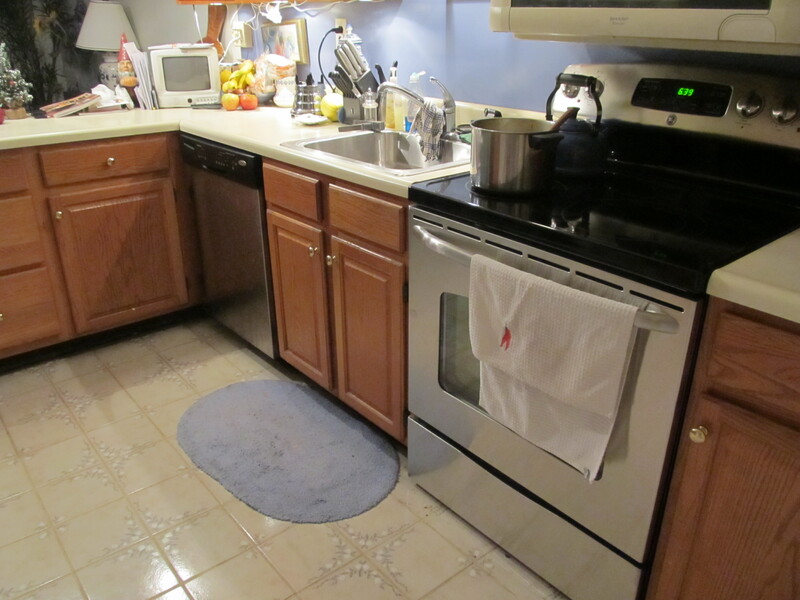 Now my kitchen is starting to match – Dishwasher on the left and Stove on the right. 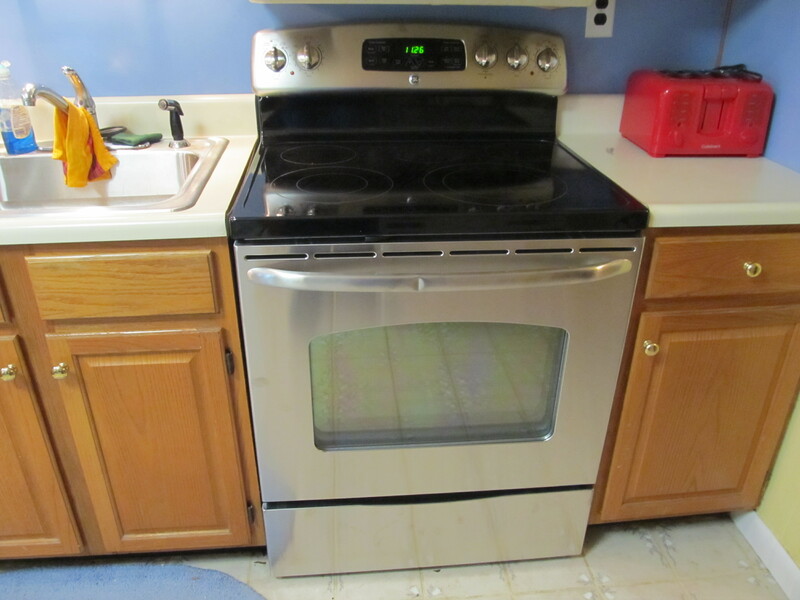 Next step: replace the microwave above the range.